Credit card offers have grown increasingly complicated since 2000, when Congress required issuers to start disclosing pricing information on credit card offers. But instead of providing clarity to consumers about the true cost of their credit cards, issuers responded to this mandate by adding a confusing array of numbers to their offers, new CRL research finds. To see the full report, go to http://www.responsiblelending.org/credit-cards/research-analysis/Numbers-Game-The-True-Cost-of-Credit-Card-Mail-Offers.html. Specifically, CRL’s research finds that the total count of numeric disclosures in credit card direct-mail offers increased 250% from 1999 to 2009, and at the peak in early 2009 the average credit card offer contained 33 figures. Much of the increased complexity in offers came from new penalty rates and fees. CRL also finds that offer complexity varied widely among issuers: In most years, the most complex offer had 6 to 8 times as many numbers as the simplest offer. This suggests that it has been issuer choice, not regulation, that has made credit card terms more confusing. The new CARD act enacted last year appears to have made credit card contracts simpler, suggesting the law is having the intended effect of creating fair, understandable terms. 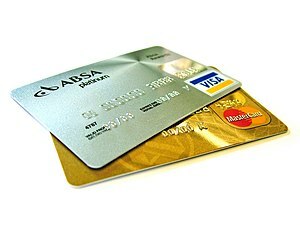 But credit card pricing remains far more complicated than just a decade ago, thwarting consumers’ ability to comparison shop. CRL recommends that regulators monitor industry practices carefully to determine whether more action is needed to enhance clarity.